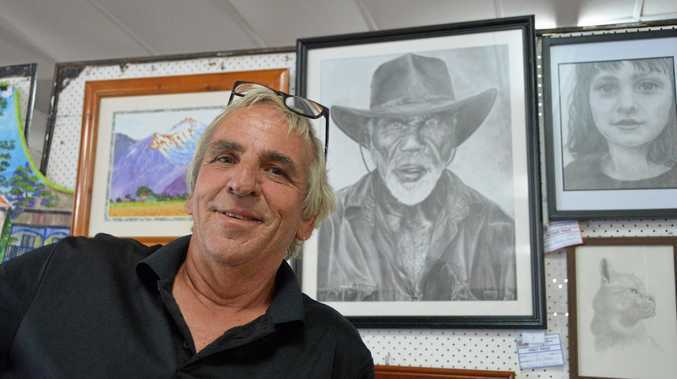 RAY Sparks was busy at the Gayndah Show serving coffee and ice creams but he was also impressing art enthusiasts with his work in the pavilion. The Elliott Heads resident was named the champion of the fine arts competition at Saturday's show with his portrait of an indigenous man. "The recognition that you get is always a bonus to keep you going," he said. "Every now and again you will win a major prize and a few thousand dollars helps a long the way." Mr Sparks has always had a passion for art as a potter by trade and being on the road with his coffee van for seven years has seen him become a regular at shows across the state and in their art exhibitions. "I am awake at 3am every morning, get up and go to my art room and sit and doodle for a couple of hours then I end up with different drawings," he said. 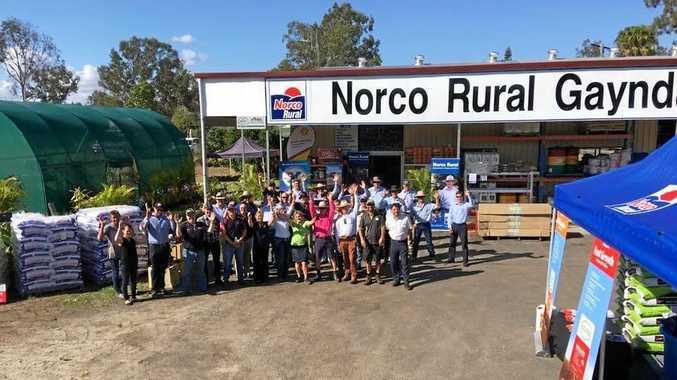 "The Bundaberg Show is coming up and I have got pieces entered there and all over the place." Mr Sparks' inspiration for his work at the Gayndah Show was the enjoyment of showing showing emotion and character through his pieces. "I do a lot of indigenous portraits because of the character in the faces and that is what it is about. If you pick someone with character you will end up with something reasonable," he said. Mr Sparks said he was his biggest critique but when it comes to success in art their is always an unknown. "You critique yourself. You can never pick what a person is going to like because everyone has got different tastes," he said. "My family always score well at Christmas and on birthdays everything is well and truly covered."